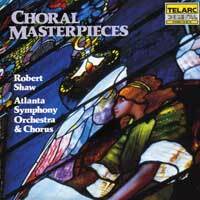 Choral music from some of the most prestigious choirs from around the world - on a budget? Yup. We realize that sometimes, it's difficult to buy all the great CDs you want, so we're making some of the fabulous stuff from our favorites a little more readily available. Whether it's classical, popular or folk music, large ensembles or small, American groups or those from the U.K., Russia, Austria or the Netherlands, it's all terrific and at an amazing price! One could easily imagine that a programme such as this, of 29 thirteenth-century motets, all composed around the same theme of fin amours and all sung unaccompanied by an all-female vocal ensemble, might end by becoming wearisome on the ear. Anonymous 4 have proved conclusively in this recording that this need not be so, that, in any case, there is already an infinite variety of mood and style among the songscompare, for example, No. 14 (Joliement/Quant voi la florete/Je sui joliete) with No. 18 (Ne m'oubliez mie)and that it is possible further to vary them in performance, using no other means than the voices themselves. The directness of the group's approach is always refreshing: their tone is unaffected, their pitch secure. The songs are presented with simplicity in a clear acoustic. There is a total absence of any improvised doodling on reconstructed medieval instruments, which is rather a relief. One gets a sense of quiet satisfaction and enjoyment from the singers themselves. I also get the feeling that the singers are trying to teach us something about the music, the mechanics of the motet and how it works, almost as if they were demonstrating to a class of music students. They sometimes go out of their way to sing a single part and then to repeat it with another part added, and then finally to give us a polished rendering of the whole motet, complete with all its parts. Occasionally they add a droneonce with a doubling at the fifth above. Ruth Cunningham, Marsha Genensky, Susan Hellauer and Johanna Maria Rose are the acclaimed, prolific a cappella group, Anonymous 4, and the beautiful polyphonic music in this CD almost didn’t make it to us because of the invasion of Hungary by the Turks in 1541. The iconoclastic Turks destroyed artworks in all forms, including liturgical manuscripts. Fortunately some of the manuscripts were copied or carried away by fleeing monks, nuns and clerics. These plainchants are remarkably consistent, part of a major effort towards liturgical and musical uniformity. Ethereal, hauntingly beautiful, one can close one’s eyes and be in the cathedral where the choir sent this perfect, sacred music heavenwardas prayerful, meditative and joyful for the singers as for the worshippers. 20 sublime pieces. Melody Rhythm & Harmony was recorded live by the Bulgarian Women's Choir during their 1993 tour in Norway. The songs presented here encompass the wide variety of styles from the various Bulgarian regions. Many of the arrangements include those of Philip Koutev, who was largely responsible for preserving the folk tradition. These songs are largely a cappella with a few accompanied by traditional Bulgarian instruments. The diverse history of the country has lent itself to produce music which requires great skill and feeling. And its rich culture continues to be preserved by this group. The Cambridge Singers, directed by John Rutter, bring us English choral music (all a cappella), folk-songs, airs and ballads, from the composers Elgar, Stanford, Delius, Grainger, Vaughan Williams, Holst and Britten. These lovely songs, with names like Delius’ "To be sung of a summer night on the water," Williams’ "The cloud-capped towers," and Britten’s "The succession of the four sweet months," tells us all we need to know about these songs. Soaring, sweet and delightful! "A Portrait of the," simply put, is a "best of" CD, recorded with the City of London Sinfonia, which means orchestral accompaniment. The CS are in excellent form, bringing us 20 songs: William Byrd’s "Sing Joyfully" and "Non Vos Relinquam," Gabriel Fauré’s "Sanctus" and "Cantique de Jean Racine," director John Rutter’s "O Be Joyful in the Lord," "Out of the Deep," "Shepherd’s Pipe Carol" and "Open Thou Mine Eyes," " Henry Purcell’s "Hear My Prayer, O Lord," C.V. Stanford’s "Beati Quorum Via," the traditional Dutch "This Joyful Eastertide," from Handel’s "Messiah," "For Unto Us A Child is Born," John Farmer’s "A Little Pretty Bonny Lass," Thomas Morley’s "Now Is The Month of Maying," Frederick Delius’ "To Be Sung of a Summer Night on the Water I," C.V. Stanford’s "The Blue Bird," T.L. de Victoria’s "O Magnum Mysterium," R.R. Terry’s "Myn Lyking" and the German traditional "In Dulci Jubilo." A monumental collection, performed by the award-winning Cambridge Singers and the powerful City of London Sinfoniatruly excellent! In the first paragraph of the 32-page liner notes to "A Cappella" we learn that "a cappella," translated from the Italian, means "in the style of the chapel," probably a reference to the Sistine Chapel in Rome, where a tradition of unaccompanied singing has gone on since the Renaissance. Although the meaning of the term has since expanded to include unaccompanied secular music, it’s clear that the Cambridge Singers hold to the original meaning, as none of the music on this CD would sound out of place under the Sistine’s famous ceiling. Directed by the renowned John Rutter, the CS bring us the finest sacred music, first 11 songs from England and Germany, then 14 songs from France, all written in the 19th and 20th centuries. We have Britten’s "Hymn to St. Cecilia," four songs from Brahms’ "Vier Lieder aus dem Jungbrunnen," five songs from Schuman’s "Vier doppelchorige Gesange, Op. 141," R.L. Pearsall’s "Lay a Garland," Frederick Delius' "The Splendour Falls on Castle Walls," Ravel’s "Trois Chansons," Debussy’s "Trois Chansons de Charles d’Orleans," and eight songs from "Chansons Francaises." As most of the lyrics are in German or French, it’s nice to have the extensive liner notes with all the words and translations. Beautiful music, angelically sung! The Renowned, 31-strong Cambridge Singers have a present for us: 23 songs of Christmas, many of them written, composed and/or arranged by contemporary composer John Rutter, a giant in the Choral world. "Jesus Child," "There Is A Flower," "Donkey Carol," "Wildwood Carol," "Angels' Carol," "Mary's Lullaby" - Rutter's original music is lovely, and the CS are the group to do it justice. Also fine are all the traditional carols like "I Saw Three Ships" and "Joy to the World." The songs are divided into six sections: Prologue, The Christmas Story, Christmas Night, Christmas Reflections, Christmas Joy and Epilog. Most of the songs are accompanied by the London Sinfonia. The liner notes are extensive and beautiful. A monumental achievement for the Cambridge Singers, a generous, spirited and brilliant Christmas CD! The sixteenth-century madrigal was an Italian form. The term ‘madrigal’ was loosely applied to a wide variety of music, but generally denoted a polyphonic setting for four or more voices of an amorous or pastoral text which was closely depicted in the music. Thomas Morely transplanted the form into England in the 1590s; this marked the beginning of the brief but brilliant flowering of the English madrigal. Between the 1590s and the early 1620s, twenty composers published a total of 36 books of madrigals, after which the form virtually disappeared. Some of these composers, such as Morely and Weelkes, followed the Italian model closely; others, such as Byrd and Gibbons, mostly stayed with the simpler English form of the consort song, where the tune remains in one voice, word-painting is not used, and strophic form is preferred to the continuous structure of the madrigal proper. Among the twenty-one items selected for this recording there are examples of several types of piece, ranging from true Italianate madrigals such as Too much I once lamented, via more popular ‘balletts’ such as Fyer, fyer!, to the simple part-songs like A little pretty bonny lass. The variety, imagination, and inspired blending of poetry and music characteristic of the best of the ‘English Madrigal School’ afford a particular kind of delight in performance, shared equally by singer and listener. Francis Poulenc's interest in choral music began in the early 1920's. During his study with the composer Koechlin, he harmonized Bach chorale melodies. This work had a distinct influence on him. It was not until the 1930's that he began to write for the choral medium more seriously. Poulenc wrote many pieces for accompanied and unaccompanied choir. His astonishing music has very twentieth century sounds but is heavily influenced by earlier styles. The "Quatre motets pour un temps de penitence" have a very dark and dramatic intensity much like the pieces of Victoria, who Poulenc often thought about while writing them. The Cambridge Singers have recorded many of his great choral works. This album includes the "Gloria" for soprano solo, mixed choir and orchestra, "Litanies a la Vierge Noire" for female voices, strings and timpani and many of his unaccompanied motets. For more than a decade, John Rutter and the Cambridge Singers have shared the Joy of Christmas with the world. The ethereal sound of perfectly blended voices, singing the most beautiful seasonal music ever composed, never fails to touch the heart and lift the spirit. This year, John Rutter and the Cambridge Singers have assembled a new collection - compiled from the archives, including four never before released tracks! Tracks include English Traditional Carols, European Traditional Carols, Choruses and Motets and Composer's Carols. The programme of music on this album is chosen from eight Collegium recordings, illustrating something of the range and scope of the choir’s work, which is deliberately not restricted to any one period or style. Sacred and secular, historic and contemporary, a cappella and accompanied music have all found a place in the Cambridge Singers’ growing discography, and several recordings feature music by John Rutter. Guest artists the King’s Singers join forces with narrator Richard Baker and the City of London Sinfonia under the baton of Richard Hickox for an extract from John Rutter’s musical fable based on The Wind in the Willows, which has been performed at many King’s Singers concerts; and the City of London Sinfonia are heard on their own in the Waltz movement from another Rutter piece, the Suite Antique for flute, harpsichord and strings. The Bach family was one of hardworking provincial craftsmen, in which the family craft was passed (apparently along with the first name Johann) from one generation to the nextin this case, the craft was music. In 17th century Thuringia, a region of Central Germany and hotbed of Lutheranism, they were many careers in music to choose from, a town, church or court musician, or an instrument maker, and the Bachs were active in all those fields. Johann Sebastian, recognizing the gift of his genealogy, compiled his own family history in 1735 and possessed an archive of works by his forbears, with some pieces copied out in his own hand. England's excellent mixed-voice Clare College Chapel Choir, formed in 1971, performs these 11 rarely-heard gems perfectly: Johann Christoph Bach's (1642-1703) "Lieber Herr Gott," "Es ist nun aus," "Der Gerechte, ob er gleich," "Ich lasse dich nicht" and "Furchte dich nicht;" Johann Bach's (1604-1673) "Unser Leben ist ein Schatten," Johann Michael Bach's (1648-1694) "Herr, du lassest mich erfahren" and "Sie lieber Tag willkommen;" and Johann Ludwig Bach's (1677-1731) "Unsere Trubsal." Listening to this wonderful stuff, it's clear that Johann Sebastian's heritage was a highly appreciated, major factor in his own genius. .
On the front cover of "O Come" is a magical winter scene, showing the cathedral at King's College, Cambridge, England. On the back cover is an interior shot of the cathedral, showing the 33-strong,all-male Choir surrounded by towering stained glass windows and candles. These pictures set the tone for this classic Christmas CD, recorded here, and of course accompanied by the wonderful, ringing chords of the ancient organ. 16 songs, "Once In Royal David's City," "Up! Good Christen Folk, and Listen," "Ding Dong! Merrily on High," "The First Nowell," "Away In A Manger," "The Seven Joys of Mary," "The Infant King," "The Holly and the Ivy," "I Saw Three Ships"… these are songs we can join in singing, unvarnished by modern arrangement, or the interpretation and ego of the singers - just songs of praise and celebration as they were first written and sung. 16 songs and as beautiful as we knew they would be. Of all the north European composers who made their careers writing beautiful secular madrigals in sixteenth-century Italy, Josquin Desprez is regarded as the greatest. Fusing learned polyphony with rhythmic gaity, the madrigal was hugely popular in Italy and England. The brilliant British male octet The Hilliard Ensemble, sounding very much like angels, are one of few groups who can do justice to this difficult, soaring material. From the sacred "Ave Maria… Virgo serena," "Veni Sancti Spiritus," and "De profundis clamavi" to the secular "Petite camusette," "Je me complains" and "Je ne me puis tenir d'aimer," this is wonderful music. 13 songs. Extensive liner notes give lyrics and translations. William Billings (1746-1800), a Boston tanner and self-taught composer & singing master, was the foremost of a group of New England Psalmodists who flourished in the early years of American political independence. By the time his first tunebook, "The New England Psalm Singer," appeared in print in 1770, Billings had mastered both small and large-scale forms. The fine British a cappella choral group His Majestie's Clerkes does full justice to this wonderfully melodic, rich-harmonied Christian church music. Included are 16 songs: "O Praise the Lord of Heaven," "Is any afficted," "Emmaus," "Africa" (a personal favorite), funeral anthem: "Samuel the Priest," the joyful " Shiloh" (another favorite), "Jordan," the wonderful "I am the Rose of Sharon," "Euroclydon," "Hear my Pray'r," "Rutland," "David's lamentation," the sweet fugue "As the Hart panteth," "Creation," the powerful, dramatic "Brookfield," and the Easter Anthem: "The Lord is ris'n indeed" (the strongest song on the CD). This is incredible stuff, and looking for comparisons, what comes to mind are the choruses from Handel's "Messiah"--but we're hearing these songs for the first time, and we're being treated to the work of a little-known American genius. Highly recommended! A fascinating survey of almost three centuries of communal singing, performed with sweetness, devotion and even a touch of earthy enthusiasm where required. After years at the pinnacle of a cappella choral music, the King's Singers show no sign of slowing down, as their creativity and number of appearances throughout the world remain undimmed. In what has been described as their 3rd generation, "Six" is a tasty sampler spanning the life of the group since their founding in the explosive rock decade of the 1960s. The spiritual "Down In The River To Pray" appeared in the movie "O Brother, Where Art Thou? ", arranged by Singer Phillip Lawson, who also arranged this sublime cover of Billy Joel's "Lullabye (Goodnight My Angel)." Lennon/McCartney's "Blackbird" is one of the most-requested encores in the KS' live concert repertoire. "The Wishing Tree" by former Divine Comedy member Joby Talbot, was commissioned by the KS and the BBC. Irving Berlin's moody jazz classic "Blue Skies" is sung in a cool and reflective arrangement by Singer Richard Bennett. The final cut is a soaring, surreal arrangement of Neil Young's deathless, "After the Goldrush," which takes our breath away and leaves us wanting to hear much more. 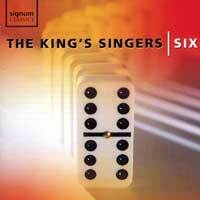 One forgets just how exceptional the King's Singers are, until one is able to see them live, or one settles back next to the stereo in a comfortable chair and lets the beauty of these "Six" wash over him like a subtle, perfect tide. Great movies about classical music seldom fail to fascinate -- witness the success of Shine, Immortal Beloved, The Piano. Each of these acclaimed films featured an engaging soundtrack, as does the newest addition to this prestigious category of films: Paradise Road. In this film, directed by Academy Award® winner Bruce Beresford and starring Academy Award® winner Glenn Close, an all-star cast tells the true story of an amazing group of Australian, English, and Dutch women, prisoners-of-war held captive by the Japanese during World War II. To keep up their spirits, these women form a choir and perform a cappella arrangements of popular classical orchestral and piano masterpieces during their captivity. The voices behind the on-screen choir that appear on this remarkable album belong to the Dutch women's choir Malle Babbe, who perform the actual arrangements of the original choir's arrangements from sheet music salvaged by the women prisoners upon their liberation. Hear for yourself the inspiring music behind this story of the triumph over despair and the preservation of hope. Possibly the best-known Choir in the world, the 375 devoted mixed voices of the Mormon Tabernacle Choir bring us 30 of the best-loved Christian Hymns, culled from their many lps and CDs across the years. From "Onward Christian Soldiers," "Abide with Me," "Bringing In the Sheaves," "Rock of Ages" and "The Church in the Wildwood," accompanied by the Philadelphia Brass Ensemble and Percussion, to ""A Mighty Fortress Is Our God," "O God, Our Help in Ages Past," "I Need," "Guide Us, O Thou Great Jehovah" and "All Creatures of Our God and King," accompanied by the great Mormon Tabernacle organ, these are powerful, magnificent, inspirational hymns of the highest order. "30 Great Hymns" is a triumph! The Mormon Tabernacle Choir's "Best-Of" collection of 23 patriotic hymns and folk songs celebrating America, accompanied by the Philadelphia Orchestra, the Columbia Symphony Orchestra and Columbia Symphonic Band. They're all here: "America The Beautiful," "Columbia," the Gem of the Ocean," "Battle Hymn of the Republic," "Home on the Range," "This Land Is Your Land," "Shenandoah," "Give Me Your Tired, Your Poor," "Over There," "You're A Grand Old Flag," "This Is The Army, Mr. Jones," "Anchors Aweigh," "The Marine's Hymn," "The United States Air Force Song," "The Star Spangled Banner," "This Is My Country" and many others. Beautiful and inspirational! Part of a wonderful group of Mormon Tabernacle Choir "Best-Of" collections, this one features the Columbia Symphonic Band and Columbia Symphony Orchestra. The marches include the "Washington Post," "King Cotton," "El Capitan," "Navy Hymn," "Semper Fideles," "The Thunderer," "Liberty Bell" and "Stars and Stripes Forever," and the College songs include Notre Dame's "Victory March," a Yale Medley of "Down the Field," "Whiffenpoof Song" and "Bulldog," U Cal Berkeley's "Sons of California," "Fair Harvard," "On Wisconsin," Columbia's "Roar, Lion, Roar," Michigan's "The Victors" and many others. Guaranteed to get you up and marching! 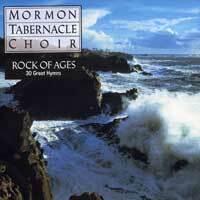 The legendary and beloved Mormon Tabernacle Choir's excellent "best-of" collection of previously released material includes show tunes ("The Sound of Music," "Oh, What A Beautiful Morning," "Seventy-Six Trombones," "When You Wish Upon a Star," "Over the Rainbow," "Whistle While You Work," "Climb Every Mountain," "Oklahoma" and others), traditional and spirituals ("He's Got the Whole World In His Hands," "Simple Gifts," "The Battle Hymn of the Republic," "Bless This House") and sacred music and hymns ("Art Thou With Me," "The Lord's Prayer," "Heavenly Father! (Ave Maria)"). Accompanying them are the Columbia Symphony Orchestra, Philadelphia Orchestra, Utah Symphony Orchestra, and the massive Mormon Tabernacle organ. Beautiful and powerful music from start to finish! The Patriarchal Choir, Moscow was formed in 1983, and consists of professional singers, both men and women. The choir take part in the services of the Moscow Church of the Resurrection, basing its work on old Russian choral tradition, from the 17th century to works of bortnyansky, Rachmaninov and others. The Choir began touring abroad in 1987. "Folk Songs" features 17 a cappella songs; some of our favorites are "Down the River Mother Volga," "In The dark forest," "The bell tolls," "O, the sweet night," "Do not reproach me, do not blame," "The troika-mail is running," "Along the river" and "Dark Eyes." There is tremendous depth of feeling here; wonderful solos supported by solid background harmonies. A powerful and moving CD! This CD is an assortment of Christmas songs from England and America from the fifteenth through the twentieth centuries. Many of the songs are American shape-note and Shaker hymns as well as Appalachian folk songs. Some of the more familiar tunes include the "Coventry Carol: Lully, lulla, thow little tyne child," "I wonder as I wander" by John Jacob Niles and Emily Poston's sweet version of "Jesus Christ the Apple Tree." These songs are all beautifully sung by the Pro Arte Singers with the University of Indiana Children's Chamber Choir, led by Paul Hillier. This is a wonderful recording of rarely heard gems. A classic recording remastered. In arrangements by Robert Russell Bennett, the Robert Shaw Chorale sings patriotic favorites with the RCA Victor Symphony Orchestra. Selections include a medley from the Civil War of songs from both North and South, a medley from the Revolutionary War and a Service Songs Medley. A great recording with or without fireworks. No. 1: Accompagnato (Tenor): "Comfort ye, comfort ye mypeople"
No. 2: Aria (Tenor): "Ev'ry valley shall be exalted"
No. 3: Chorus: "And the glory of the Lord shall be revealed"
No. 12: Chorus: "For unto us a Child is born"
No. 14: Recitative accompagnato (Soprano): "There were shepherds abiding"
No. 15: Chorus: "Glory to God in the highest"
No. 16 Aria (Soprano): "Rejoice greatly, O daughter of Zion"
No. 18: Duet (Soprano & Countertenor): "He shall feed His flock"
No. 19: Chorus: "His yoke is easy, his burden is light"
No. 22: Chorus: "Surely, he hath borne our griefs"
No. 23: Chorus: "And with his stripes we are healed"
No. 24: Chorus: "All we, like sheep, have gone astray"
No. 36: Aria (Soprano) "How beautiful are the feet"
No. 37: Chorus: "Their sound is gone out"
No. 41: Aria (Tenor): Thou shalt break them"
No. 43: Aria (Soprano) "I know that my Redeemer liveth"
NO. 44: Chorus: "Since by man came death"
No. 46: Aria (Bass) "The trumpet shall sound"
No. 48: Duet (Countertenor & Tenor) "O death, where is thy sting?" No. 49: Chorus: "But thanks be to God"
No. 51: Chorus: "Worthy is the Lamb that was slain"
The most beloved section of Handel's Messiah from the Vienna Boys' Choir's recording can be heard on this CD. It contains selections from all three parts including, "And the glory of the Lord," "For unto us a child is born," "Hallelujah," "Worthy is the Lamb that was slain- Amen" and many more. The chorus is accompanied by the Academy of London, Peter Marschik, conductor. This lively recording by the Vienna Boys' Choir features waltzes and polkas by Johann Strauss, Sr. and Jr. These and other pieces such as the trio from The Magic Flute by Mozart represent the abundant musical heritage of Vienna. Also, included are "Edelweiss" and "Do-Re-Mi" from The Sound of Music by Rodgers and Hammerstein. This CD is a true Viennese treat. Pieces by Mozart, Schubert, Haydn and Handel can be heard on this recording by the Vienna Boys' Choir. Selections from the "Coronation Mass" and "Requiem" by Mozart start off the disc. Also included is his beloved "Ave verum corpus." Schubert's setting of the "Ave Maria" is probably the most famous of this text. Here it is sung in an arrangement by Helmuth Froschauer for solo voice, treble chorus and orchestra. The recording also features two trios from "The Creation" by Haydn, choruses from Handel's "Messiah" and "Abendsegen" from Hansel and Gretel by Engelbert Humperdink. The Volga Choir and the Sveshknikov Choir are two of the large (a hundred or more voices) vocal ensembles who are famous not only in Russia, where they tour extensively, but increasingly in musical centers of the Western world. Their extensive repertory of folk songs tell of shared work, the courage of folk heroes, communal joy at births, marriages and harvests, wretchedness because of conscription or war. 16 powerful, deep-bassed songs, some favorites: "Evening Bells," "The Broad and Rolling Steppe," the lovely "Do Not Blame Me," "The Pear Tree," "Between Steep Banks," "The Drake Went Courting," "Aliona," "Snowfall" and "Do Not Revive Memories of the Past." Some light accompaniment with accordion, harmonica and other instruments. These are songs of deep feeling and strength with some amazing solos and powerful harmonies. "Folk Song" is an authentic Russian treat!